Do you find any problem regarding the styling of your Kurtis? Like how to pair it, or what accessory should be worn according to the design pattern? Well, obviously it’s perplexing to style different varieties of Kurtis when there’s a vast collection. 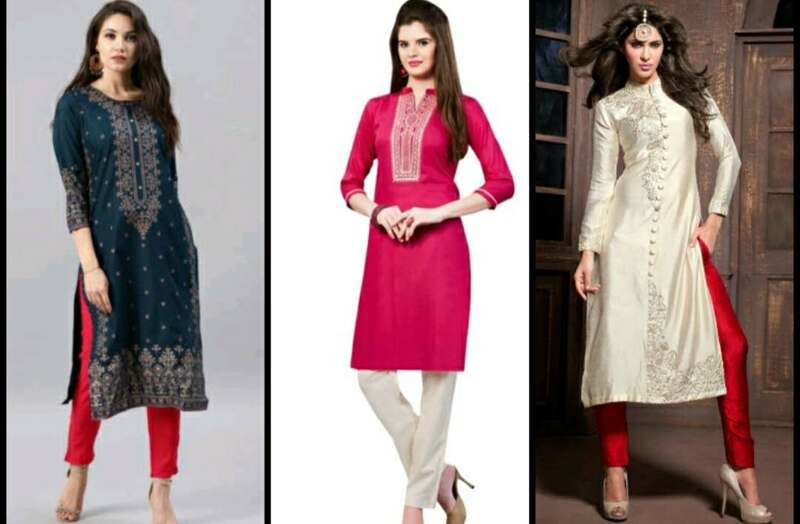 Moreover, while selecting the Kurtis it’s extremely crucial to choose the design according to the body shape. At present, Kurtis are definitely in trend because they can be worn to any and every occasion without any scruple. Whether it’s a college fresher’s party or a wedding reception party, the traditional look of Kurti along with the fusion of modern touch can be the appropriate choice. Kurtis are undoubtedly, timeless piece of garb which will make you look gorgeous and exceptionally dazzling. 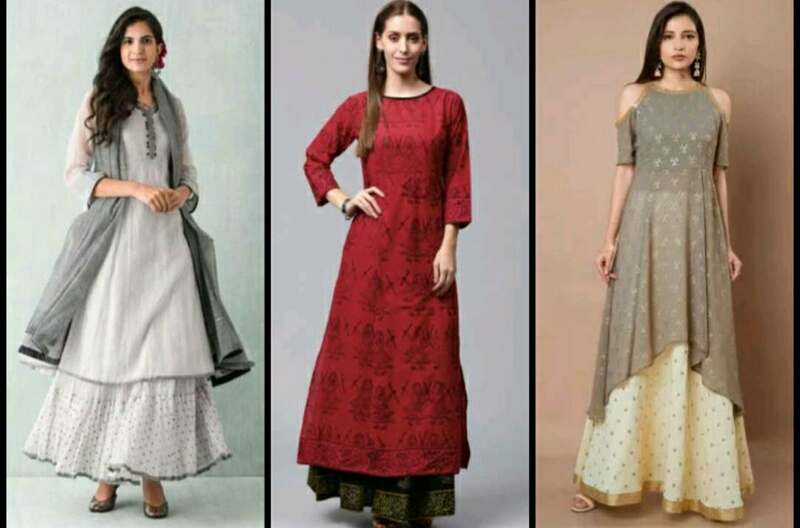 To stuff your wardrobe with the best collection of Kurtis, it is advised that while shopping, keep in mind the pairing style as well in order to enhance the beauty of the Kurti. 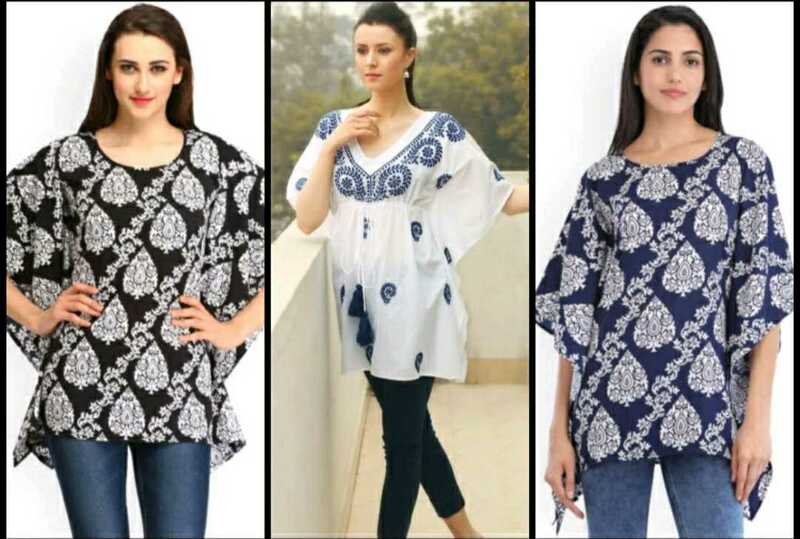 If you love wearing loose-fitted Kurtis like Kaftan style, then a typical pair of denim will definitely match with the Kaftan style Kurti. Denims and skinny denims will be the amazing fusion of Indian and western looks. In addition to it, if you are wearing it for regular college or office wear, then you can try minimalistic accessory as well to complete the look. Therefore, while selecting the design, pattern and colour of the Kurti, it’s essential to keep in mind the pairing style along with it. Presently, fitted trouser pants are extremely common among ladies and girls because it’s pretty and a fashionable amalgamation. As the material of the trouser pants is little thick, therefore, it can easily be worn in cold weather along with Asymmetrical and A-Line Kurti designs and patterns. If you have traditional and ethnic designer Kurtis such as Khadi or embellished collared Kurti in your collection, then you can easily style it with slack palazzos, which is basically a version or fusion of Sharara. It’s an absolutely comfortable and loose piece of garment which can be worn all day long without feeling the heat, especially in hot summer season. Additionally, you can try bohemian accessories or jewellery pieces for a gorgeous appearance. Are you planning to purchase an appealing and attractive loungewear to pair it with Kurti? Well, it’s really sorted if you have wrap-around pants in your closet. 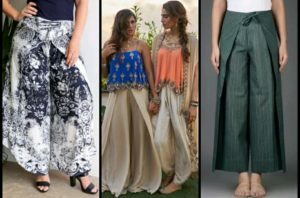 Wrap-around pants are basically the modern fusion of the pants in which there’s an asymmetrical hemline, wrap-around design and crinkled effect. For an elegant and unique look during any wedding function, you can pair it with designer jacket style Kurtis. Moreover, you can add some fashion statement jewellery for the best look. 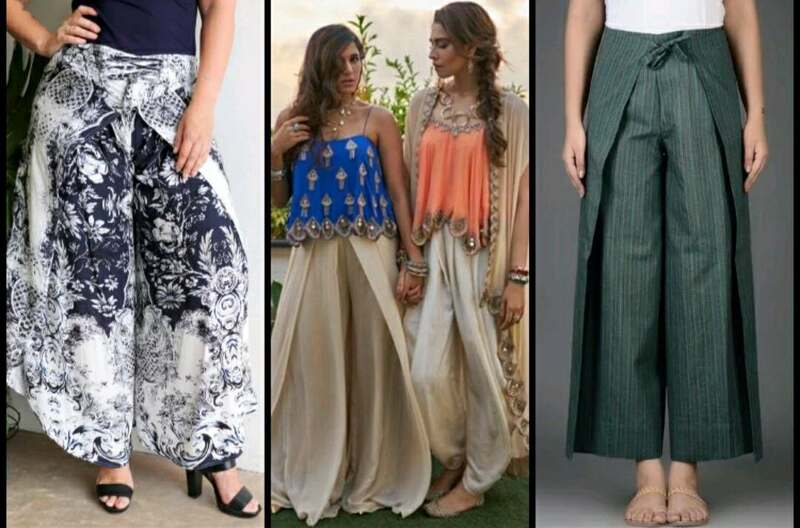 Currently, Dhoti pants have earned so much popularity in the fashion sector because it gives an absolute ethnic appeal to your look. There’s a loose drape which reaches up to the ankle area and you can enjoy the ventilation and loose style. 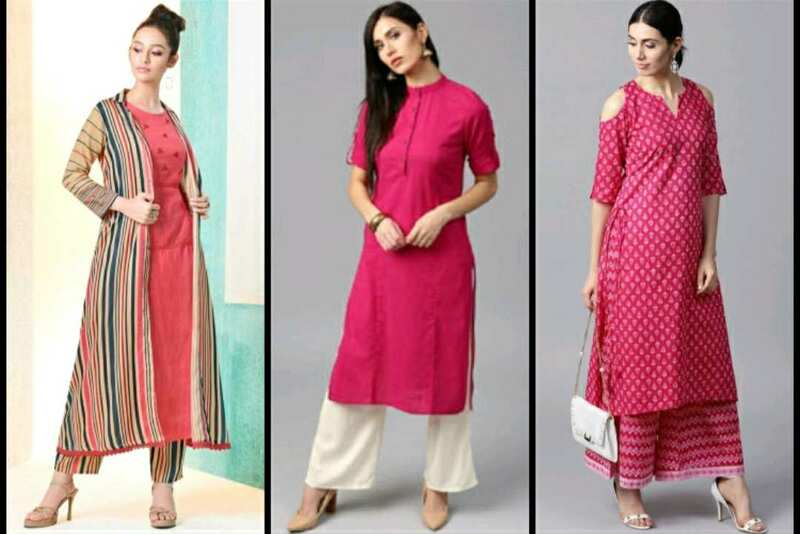 You can wear different styles of Kurtis to pair with the Dhoti pants such as mid-rise printed Kurti, Peplum Kurti, Embroidery Kurti and a lot more in solid colours. Furthermore, you can wear pencil heels and rock your desi style. Other than Palazzos and Shararas, Skirts are equivalently famous and selling tremendously on various shopping websites and retail stores. You can choose contrasting colours to pair it with different patterns of Kurtis. To grab the compliments from each corner during the party or any other get-together, rather than trying lehenga, you can simply wear cotton-silk Kurti along with the contrasting colour of the bottom skirt. Also, you can try heavy chandelier danglers for the perfect finish off. Ripped style denims or jeans are extremely famous across the world. To make a fashion statement in office or at a college party, you can effortlessly wear Kurti with rolled up sleeves and pair it with the ripped jeans. Otherwise, if you have collared Kurti in your wardrobe collection, even then you can try ripped jeans style. And, to match with the style, you can carry a sassy handbag or clutch bag for Boho-chic appearance. Patiala Salwar can never go out of trend, and if you are willing to pair it with a designer Kurti, then it will be an amazing fusion. But make sure that the Patiala Salwar that you are searching to match with the Kurti should not be made out of a shimmery fabric. 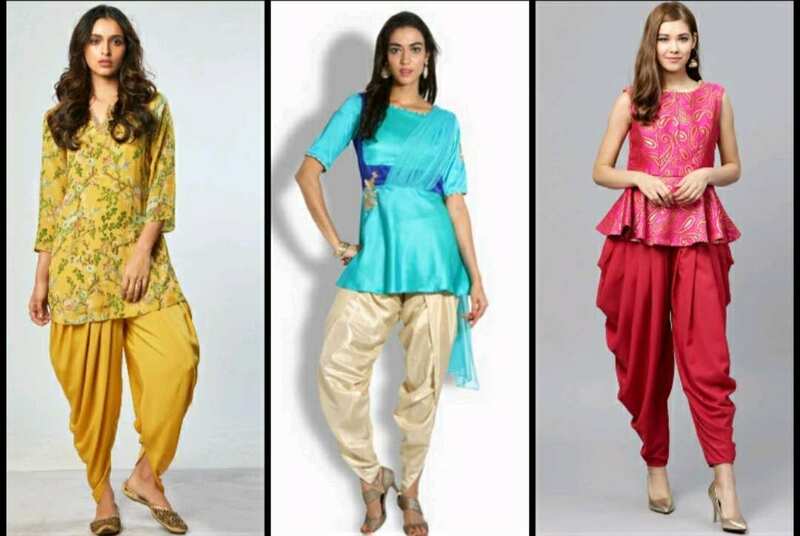 There are some of the best Patiala Salwars that you can find with little embellishments, which would be a great choice. Additionally, you can take a heavily embellished dupatta for an elegant and fabulous appearance. Undoubtedly, leggings can be the best choice to pair with Kurti. It doesn’t matter the style or pattern of the Kurti, you can always wear a pair of leggings to remain relaxed whole day long either in the office or at college. A pair of solid colour leggings is the most sorted and comfy companion to match with the Kurti. 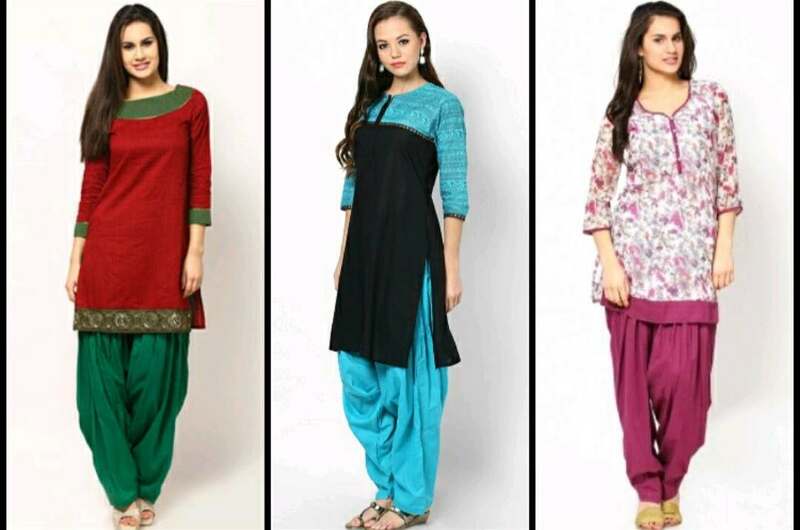 Moreover, there’s another benefit is that you can easily get almost every colour of leggings to pair with the Kurti. If you are a style icon in your college, then the pairing of the front or side slit Kurti with the hot pants will definitely rock your style. 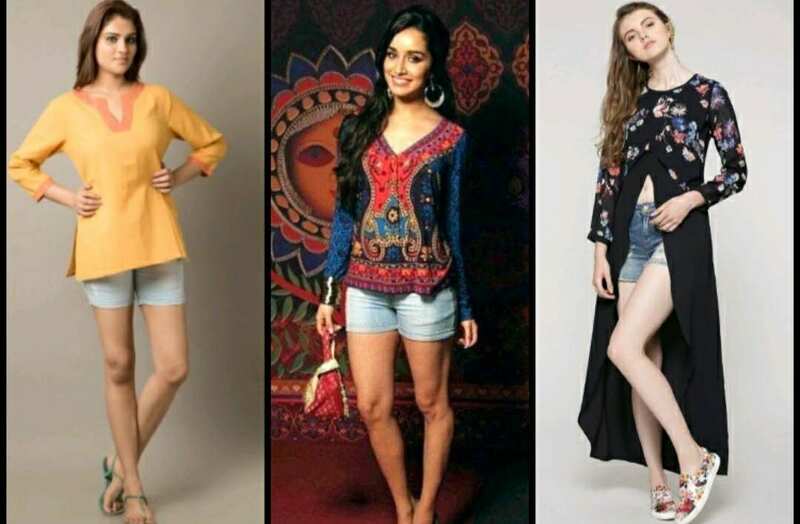 Try out the most ethnic style Kurti with your ripped or unique shorts and team it with bohemian accessories to remain cool and breezy in hot weather. 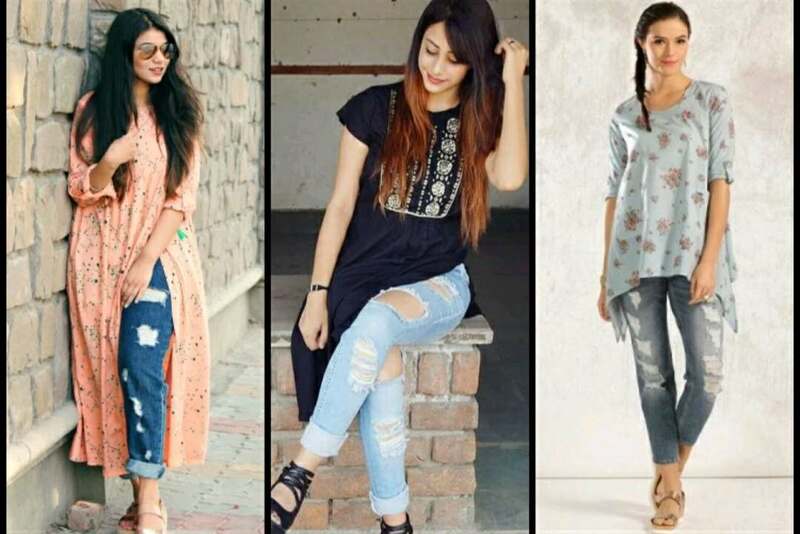 So, this is the list of the top 10 tips for styling your variety of Kurtis with the most fashionable and trendy bottoms. 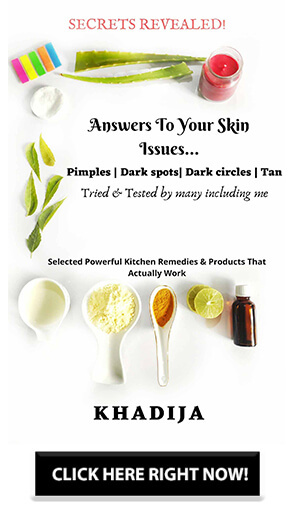 Previous Article← 4 Types of Essential Oil Diffusers| Which is Best? I have not yet tried the Wrap-around pants. Wrap-around pants look like a drap with extra layering on pants. I have not yet tried the Wrap-around pants. It looks comfy and even stylish. I think palazzos are comfortable than anything. I usually prefer wearing kurtis with an ankle length leggings, just can’t wear it with jeans because of the weather! Even palazzos look great and are comfortable!